AMT is now accepting performer video submissions for our 2014 Original Show season which includes Music of the Night: The Songs of Andrew Lloyd Webber and The 2014 Christmas Show: Joy to the World. We’re seeking male and female Singers, Dancers, Singer/ Dancers, and onstage Musicians. 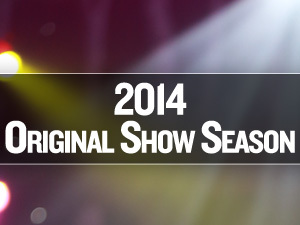 Video submissions, along with demo links, headshots, and resumes should be emailed to Casting@amtshows.com. Individuals must be 18 years of age or older to submit.